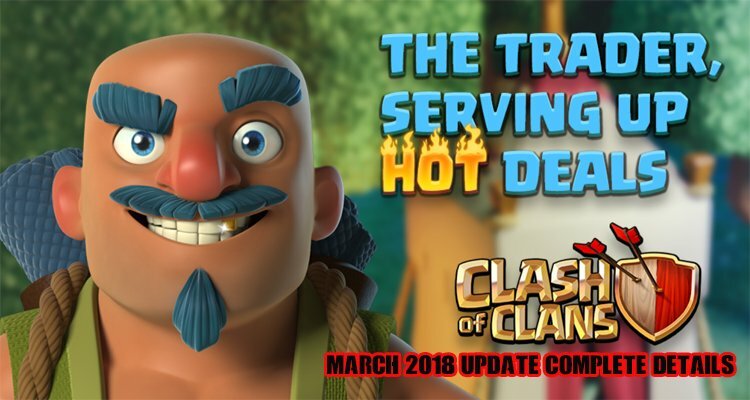 Clash of Clans March 2018 Update – Clashers it is Spring 2018, And before starting of this month, Supercell posted on their official Facebook page, About their new upcoming update this month, Of this update the things which attracted me the most is the new clan games challenges and new magic items and a guy called trader which will help you to buy new magic items easily, Read this article till end, Will be briefing it. 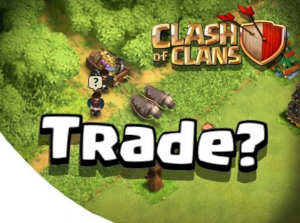 Look at the above-leaked image which shows the trader, In this Clash of Clans March 2018 Update, Lot of balancing changes also going to take place with a reduction in resources cost, Time and much more. What’s New With Clash of Clans March 2018 Update?? 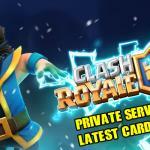 Part 1 – New in Clan Games!! These are the things which supercell is going to make changes in the interesting Clan Games, As said above there are lot of interesting Clan Games challenges which are coming ahead. And one very good news is that Clan Games are also going to earn you Clan XP, Clan XP is obtained till now only by Clan Wars, But after this Clash of Clans March 2018 update, Clan XP will also be obtained from Clan Games, The amount of XP is determined by how much amount you contribute to the clan. The following challenges are to be added to Clan games to make the game more interesting. You will be given a list of townhall levels, You have to beat a specific townhall level and get 3 stars from them. You have to get 5 stars in titan league to complete this challenge. You have to get stars from townhall higher than yours. You have to get stars without using any spells. You have to get stars without using any heroes. You have to get 3 stars from a clan war battle. Hmm, This is one is interesting one, You have to knock out a hero of a specific level in a match. You have to earn 5 stars in versus battle with Super P.E.K.K.A. You have to destroy Mega Teslas in versus battle. These are some of the new game challenges which are going to be added soon. There are 3 new magic items which are going to be added in Clash of Clans March 2018 Update, The magic items are unlocked by completing clan games. 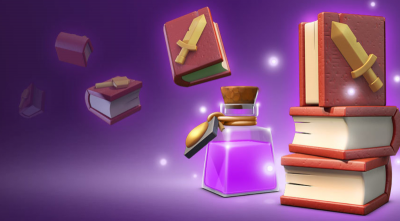 Builder Potion – As the name suggests, The builder potion is designed to speed up the process of all builders working for your village by 10 x for 1 hour. Runes – There are totally 5 resources in Clash of Clans Game, Elixir, Gold, Dark Elixir and Builder Base Elixir, Builder Base Gold, Runes will fill any 1 of these resources to maximum capacity storage you have. Maximum Capacity – 1 Per Resource type. And one of the big thing which is to be added in Clan Games is that Clan XP, You can now earn Clan XP from Clan Games. Amount of Clan XP depends upon the Contribution of you in the Clan Games. And now the second part of Clash of Clans March 2018 Update is that the Balancing Updates. P.E.K.K.A level 4 is now available at Town Hall 9, Prior it was available at Town Hall 10. P.E.K.K.A level 6 is now available at Town Hall 10, Prior it was available at Town Hall 11 ( Costs of Upgrade reduced from 10 million to 8.5 Million Elixir), Make a quick upgrade and destroy your opponents. Inferno Tower was considered as one of the best defensive buildings around, Its damage has been increased in Clash of Clans March 2018 Update. Multimode damage has been increased for various levels of inferno tower. Single mode damage, Which was taking about 4.25 seconds to reach maximum damage will now take 1 second extra. Nothing much about Wizard Tower, Wizard tower damage reduced from 56 to 52 for Wizard level 9. Traps which help us to defend our base very well, The new level of traps are now more dangerous and deadly which are going to be added in the Clash of Clans March 2018 Update. Skeleton Trap level 4 is now available. Giant Bomb level 5, It is an Oh My God Update! Town Hall 11, Level 11 Walls can be upgraded to Level 12. 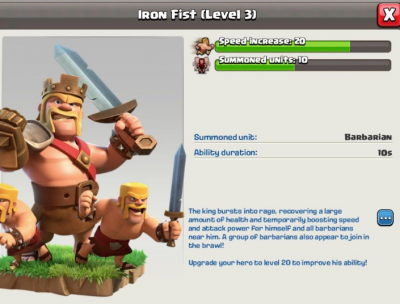 Previously, Barbarian King’s Iron Fist was boosting up the other Barbarians nearby, Now it will Boost only the Barbarians which the king spawns. Multi Mortar gear up is now available for single Mortar in TH 10. These are some of the Balancing Changes going to be added in the upcoming Clash of Clans 2018 Spring Update. The trader is a travelling merchant whose job is to travel around and get you some unique needed Magic items and special deals. It has been mentioned by Supercell that Trader will provide you 3 Special deals every day, Which you can purchase from him. This guy is going to be very useful If needed some rare magic spells. Watch the video for more info! We hope you guys liked details about the upcoming Clash of Clans Spring 2018 Update, This update is an interesting one, Do subscribe to Clash of Duty and Press the bell icon to receive updates instantly as soon as it has been fetched by our Clash of Duty Team. Clash of Clans Private Servers March 2018 is also coming prior to all these features mentioned in this update, Thanks for reading, stay tuned. at what town hall level will the new trap levels become available? What kind of trap you want details? Giant bomb level 5 is unlocked at town hall 11.